In 2003, during a visit to Fatehpur Sikri, we were taken to the private residence of the caretaker of the Saleem Chishti Dargah located inside the complex. Once inside, we were warmly received by the caretaker, an elderly gentleman and his family. We were served sharbat and shammi kababs. Soon after, in our presence, the caretaker received another group of Indian men and women, all dressed in expensive clothes and they spoke to each other in English with a distinct American accent. “Ye sab sap hi logoN ka to hai,” [This all, is all yours only] the caretaker said to them before introducing the family to us. We were delighted to discover that they were direct descendants of Akbar, the emperor who built the magnificent complex. WHAT was previously thought to be typical Viking Age patterns in silver on woven bands of silk in Viking Age graves are actually geometric Kufic characters as per a new research at Sweden’s Uppsala University. The Arabic characters appear in burial costumes in Viking Age boatgraves, as well as in the chamber graves clothing of central Viking Age sites such as Birka in Mälardalen. MUQEEM Ahmad comes across as a quiet man but is a mason par excellence. 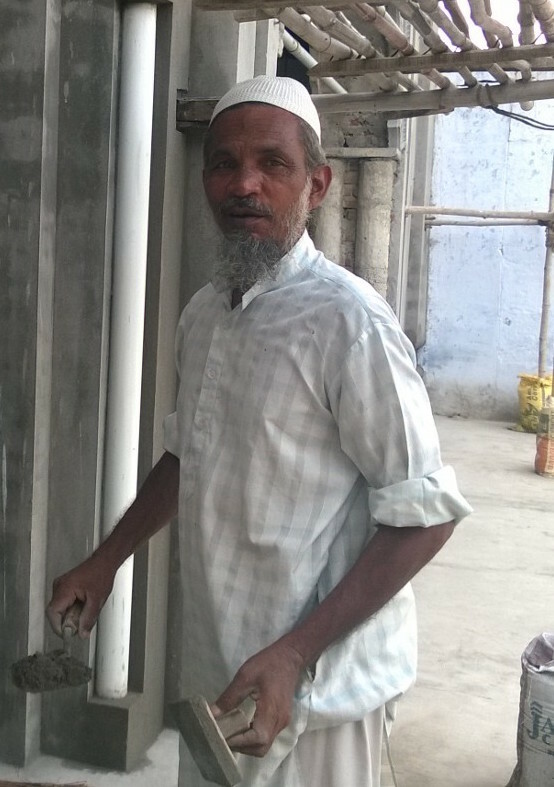 A resident of Amroha in UP, Muqeem singlehandedly renovated and at times recreated structures and floral designs on some old Imambadas and the Shia Jama Masjid in the town. 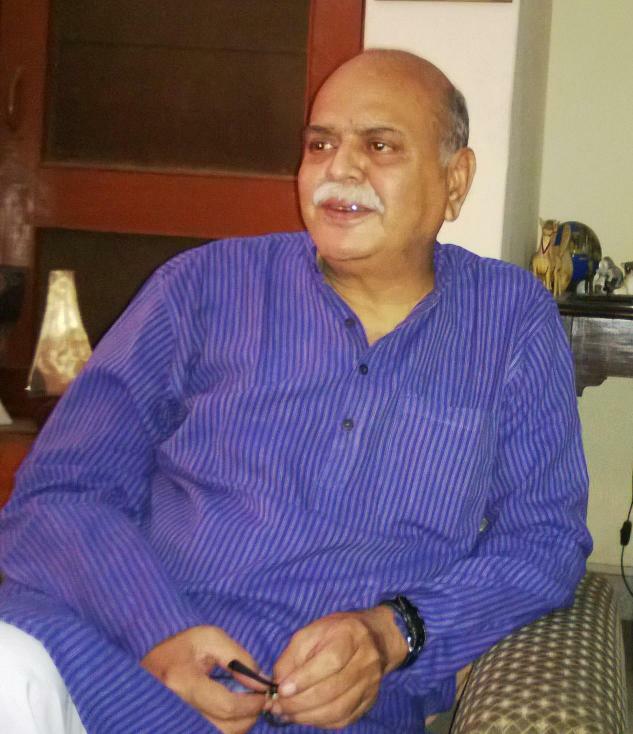 SALEEM Kidwai is a medieval historian and works in the area of culture conservation. His work includes the translation of Malika Pukhraj’s autobiography in English. 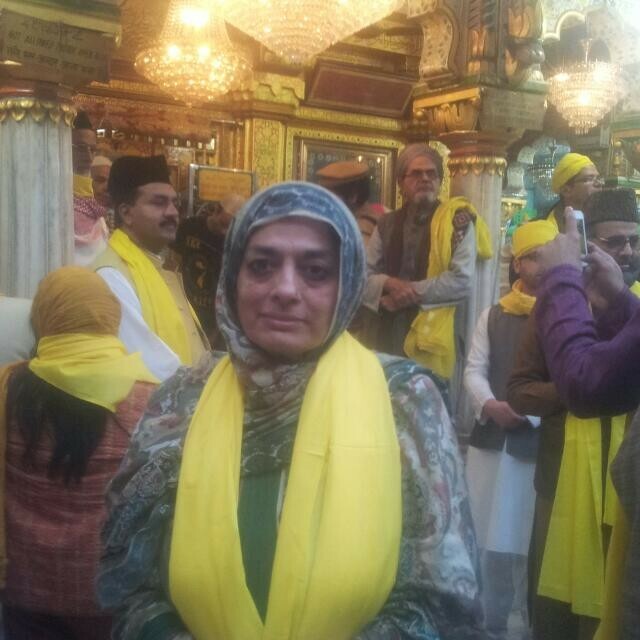 In an exclusive interview with Muslims Today, Kidwai shares his thoughts on Awadh and its culture. MT: What was the Lucknow of the 50s and 60s like? Any fond memories or interesting incidents that you would like to share. SK: I’ve memories of a slow and very civilised city. But, even then I felt there was something that Lucknow needed. Perhaps that’s why I chose to stay away from the city for 34 years. MT: What changes do you see in the city and is there something that worries you? LUCKNOW. INTACH (Indian National Trust for Arts & Cultural Heritage) Lucknow chapter, in association with Rashtriya Lalit Kala Akademi, Lucknow, is organising an exhibition “Lucknow ki Sarzameen”. The seven day exhibition on calligraphy is being organised at Rashtriya Lalit Kala Akademi. Calligraphy thrived as an art during the Nawabi period. Today it’s finding difficult to survie and very few are practising the art in the digital age. There is a tremendous need to create awareness and to save this art for future generations. The exhibition is open to public from the 8th till the 14th of July. Artists whose is being displayed at the exhibition include Pankaj Gupta, Syed Azeem Haider Jafri, and Vishnu Narain Agrwal. NEW DELHI. The Vice President of India Hamid Ansari recently released a book entitled “Fida-e-Lucknow – Tales of the city and its people” authored by Parveen Talha, former Member UPSC. Addressing on the occasion, he also said that many renowned authors and poets have written about Lucknow and its culture earlier. There is something special in the roots of Lucknow that a cultural civilization grew there. The book, a collection of 22 short stories, is peeped in the flavours and textures of life in Lucknow. Woven through these stories is the history of its Ganga-Jamuni culture and the changes which came over the city and its people in the post-Independence period. It is also the story of Lucknow’s women. DOCUMENTARY ‘Road Map of Yasin‘, produced by Aseem Asha Foundation, is based on 85 years old veteran artist Mohammed Yasin. Yasin’s most important contribution goes to the art of calligraphy. He chose to work in an abstract symbolic manner. Geometrical elements – the circle within the square, concentric circles, comprise the basic structure emphasising a symmetrical arrangement and abstract formal values, calm and quiet they are nevertheless active fields. They seem to be deeply influenced by Buddhist art. They generate impulses of colour and focus attention on the images- the symbolic images- they contain. His early works have explored all available mediums from lithography, etching, aquatint, engraving, dry point, serigraphy, mezzotint water colors, oils, gouache and egg tempora. His works are very poetic and also dramatic. Tantric symbolism, Sufi mysticism, echoes of the miniature schools, shades of thankas and pictorialised Arabic calligraphy – all these inspirations could be identified in Yasin’s work. The President and other dignitaries at the release function. THE President of India, Pranab Mukherjee, released a commemorative postage stamp on late Sahir Ludhianvi on March 8th. The occasion was his birth anniversary. Born as Abdul Hayee, Ludhianvi was a popular Urdu poet and lyricist of the Hindi film industry. He passed away on October 25, 1980, at the age of 60. Speaking on the occasion, the President said that Ludhianvi was widely acclaimed as a people’s poet who wrote on the trials and tribulations of the everyday life of the common man with great intensity and deep empathy. He was recognised as the poet of the young because of his writings on love and beauty. He wrote with great sensitivity on the values and social concerns of the contemporary period. The President added, “One of Sahir’s greatest contributions was to converge Urdu poetry into film songs.” He also fought for recognition for lyric writers through the Film Writers Association. In recognition of his services, The legendary poet was awarded the Padma Shri in 1971.